No one knows the importance of saving a dollar or two like a college student. Between tuition, books, and other necessary college expenses, it can often be a challenge to scrape together enough for things like healthcare, transportation, and entertainment. Fortunately, students have a number of options for saving some money and living well during their college years, including studying in an affordable state. With a cost of living that is around 3% lower than the national average, Pennsylvania is a much more affordable place to live than many of its neighbors in New England and on the East Coast. This is good news for students attending any of Pennsylvania’s 450 colleges and universities. To figure out which college towns are most affordable, we looked at costs for housing, food, health, transportation, and utilities, and compared them to the national average. We also considered features like amenities, crime rates, public transportation, and overall quality of life before narrowing our list down to the 20 most affordable college towns in Pennsylvania. You may remember Johnstown from Bruce Springsteen’s hit song “The River,” but it’s also the home of University of Pittsburgh at Johnstown. 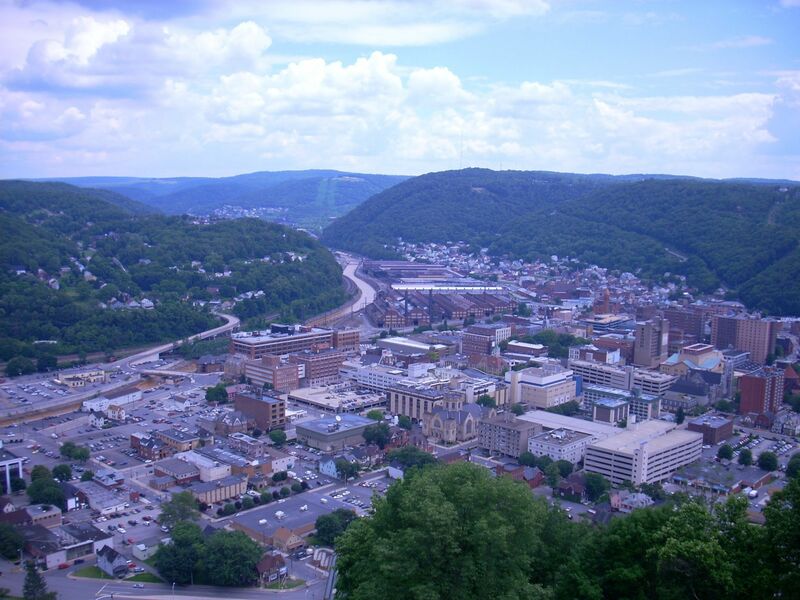 The school is ranked amongst the best in the northern United States, so Johnstown is a popular choice of place for students to spend their college years. Luckily, this is a great place to live on a college budget. Housing costs are nearly 75% lower than the national average, and the average cost of a one-bedroom apartment is just over $700 a month. Food and healthcare costs are also below the national average, while costs for utilities and transportation average just a hair over the norm. Despite having fewer than 100,000 residents, Reading is home to an amazing four colleges: Albright College, Alvernia University, the PACE Institute, and the Reading Area Community College. While food, utilities, and transportation are on par with the national average, housing in Reading is a whopping 70% lower than the national average! Indeed, the typical home in Reading sells for around $50,000 — nearly $120,000 less than elsewhere. With a cost of living this affordable, students may just want to stay in Reading forever. Titusville is a small historic town with a classic college feel. 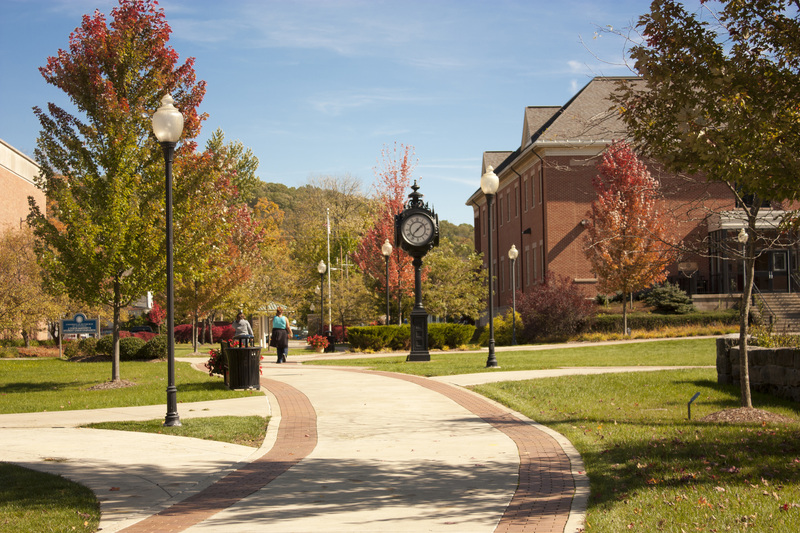 Originally the site of the world’s very first oil well, today Titusville is home to a University of Pittsburgh campus. The college regularly provides cultural events and other forms of entertainment, while hiking, hunting, and fishing are all popular pastimes in the surrounding countryside. For those who need more, the bigger city of Erie is less than an hour away. While utilities costs are about 12% higher than the national average, food, healthcare, transportation, and entertainment are all lower than other American towns of its size, and well below that of other places in Pennsylvania. Even better, housing is only about 30% of the national average, and those looking to stay in Titusville a little more permanently may be pleased to know that a historic Victorian mansion in good condition can be yours for less than $200,000. King’s College, Misericordia University, and Wilkes University are all located in Wilkes-Barre, a small town located in northeastern Pennsylvania. All three campuses are active around the community, and the large student population gives Wilkes-Barre a fun and vibrant college town feel. It’s affordable, too. Homes in the area sell for a median price of $51,000, while rentals average only about 30% of the national norm. Utilities, food, healthcare, transportation, and miscellaneous costs are also on par with or below the national average, making Wilkes-Barre a fun, yet affordable, place to spend time. Erie, located along the shores of Lake Erie in northwestern Pennsylvania, is a happening place. A strong local theater scene means Erie residents are always well entertained, while several museums (including the renowned Erie Art Museum), the Erie Zoo, and Presque Isle State Park are all popular and affordable local pastimes. Erie is even well known for its party scene, and has one of the highest bars-to-citizens ratios in the country! Luckily, Erie is also a safe and walkable city. Food and utility costs are the only main categories that are slightly more expensive than the national average. Healthcare, transportation, and entertainment are all well below the norm, while housing costs are less than half of the national average. Grove City is home to Grove City College, a small liberal arts school well known for the Christian education it provides its students. Grove City residents enjoy a cost of living that is well below that of the national average. To be specific, food costs are 11% less, healthcare is 17% less, entertainment is 5% less, transportation is 7% less, and housing is a whopping 40% less. Much of Grove City’s lower cost of living has to do with the fact that it’s a rural community located in northwestern Pennsylvania. Luckily for those who occasionally crave a little more action, Grove City is conveniently located near the intersection of Interstates 79 and 80, so bigger cities — Erie and Pittsburgh –are each less than an hour away. While a big city like Pittsburgh can’t really be considered a college town, the fact that it is home to more than 70 colleges and universities is reason enough for us to include it on this list. And with an overall cost of living that is 16% less than the national average, it’s one of the most affordable large cities in the United States. Indeed, students living in Pittsburgh take advantage of the city’s low food costs (only 5% higher than the national), healthcare costs (7% lower than the national), and housing (55% lower than the national). The various cultural districts, lively bar scene (it has the most bars per capita in the entire country), libraries, and museums mean there are plenty of fun yet affordable pastimes available, while the presence of large companies like Apple, Google, and Intel offers plenty of incentive to stick around after graduation. Near Wilkes-Barre in northeastern Pennsylvania is Scranton, home to The University of Scranton, Johnson College, Marywood University, and Lackawanna College, among others. Despite being a metropolitan area, Scranton has a laid-back college town feel to it. Best yet, it’s very affordable, even for those on a college budget. Healthcare, transportation, and entertainment costs are all significantly below those of the national average, while housing is less than half that of similarly sized towns in the United States. 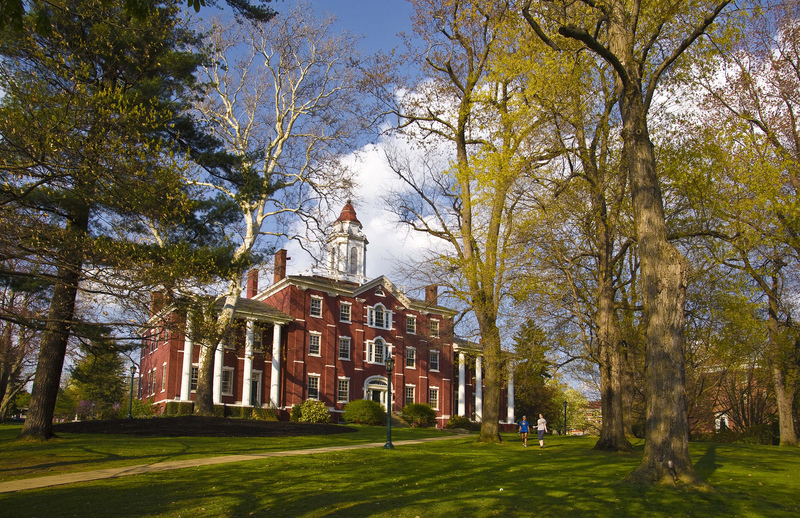 Students at Allegheny College have the pleasure of living in Meadville, a quaint historic town located along the banks of French Creek in northwestern Pennsylvania. 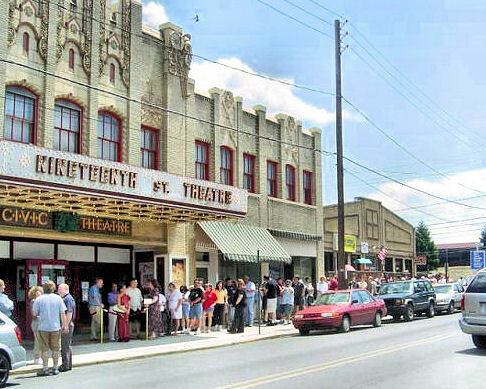 Meadville has been both the Zipper Capital of the World and “Tool City, USA,” and today is an active center for business, industry, education, the arts, recreation, and tourism. Such a solid local economy means good things for students on a college budget. Meadville’s cost of living is nearly 13% less than the national average, with healthcare, housing, transportation, and entertainment being the lowest cost categories. Allentown, the largest city in Pennsylvania’s beautiful Lehigh Valley, is a desirable community known for its long-held traditions, proud culture, rich history, and award-winning parks system. Home to Muhlenberg College and Cedar Crest College, Allentown is also a great place to spend one’s college years. Food costs are only 1% higher than the national average, but students may even be able to save even more money by shopping at the Allentown Fairgrounds Farmers Market, where local farmers and merchants sell everything from produce to candy. Healthcare, housing, utilities, and transportation are also on par with or well below the national average. When most people hear Lancaster, Pennsylvania, they think of cows and the Amish, but this historically significant town has much more to offer. Home to Franklin & Marshall College, Lancaster boasts thriving healthcare and tourism industries, lively entertainment, a wide representation of international cultures, and a vibrant college scene. 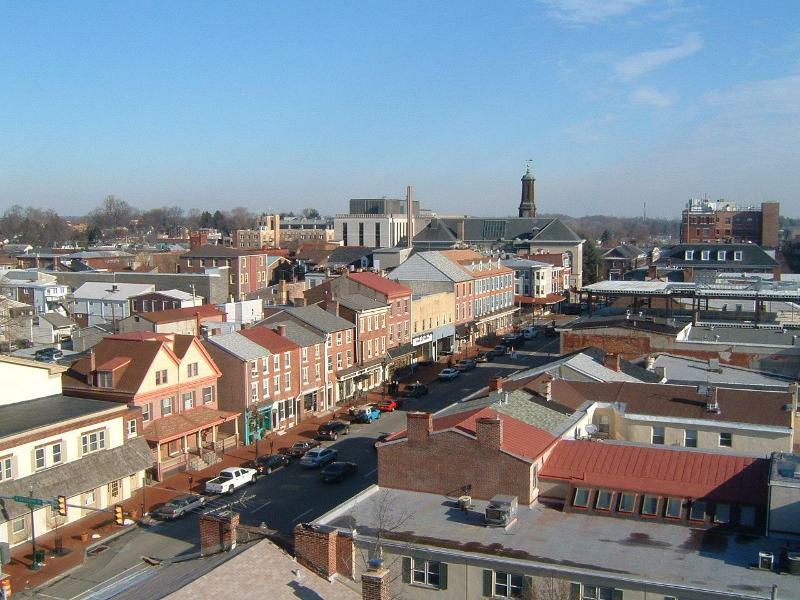 Best of all, Lancaster’s cost of living is 11% lower than the national average. The oldest continuously operating farmers’ market, the Lancaster Central Market, provides residents with a large selection of affordable goods and produce locally grown and made by farmers, merchants, and the Amish. Plus, Lancaster is safe. The city has more CCTV outdoor cameras per capita than most other cities, which goes a long way to keeping the local population safe and happy. A small community with a diverse international flair, Carlisle is home to Dickinson College and the U.S. Army War College. Carlisle has one of the best collections of Colonial and Victorian-era homes, and with a cost of living that is below both the national and state averages, it’s also an affordable collection of historic homes. Art galleries, international restaurants, and a popular theater scene all contribute to the high quality of life residents have in Carlisle. Indeed, Forbes magazines voted it one of the “most livable cities” in America. For the many local nature lovers, the nearby Appalachian Trail offers miles of beautiful hiking trails, while myriad local creeks and lakes means good fishing, swimming, and camping. Gettysburg, one of the most famous historical towns in the nation, is home to the highly selective Gettysburg College. Between the college’s on-campus night club, miniature golf course, and restaurants, a student’s entire social life can occur on the Gettysburg campus. Still, the town itself isn’t a bad place to hang out (when it’s not overrun with tourists). The area surrounding the battlefield is a fun place to hang out or grab a bite to eat, while the Outlet Shoppes at Gettysburg makes shopping at affordable prices a breeze. Plus, when you want to experience the life of a bigger city, Washington, D.C., Baltimore, Harrisburg, and Philadelphia are all within easy access. Home to Lehigh University, Bethlehem is an upscale rural community located in eastern Pennsylvania. Life is quiet in the beautiful Lehigh Valley, though the local college scene often hosts festivals and other recreational amenities for both the student and local populations. The downtown historic area is a good place for walking, shopping, or enjoying any of the locally owned restaurants and cafes, while nearby Allentown is a great option for an evening away in the “big city.” The cost of living in Bethlehem is right on par with the national average, with food, healthcare, housing, and entertainment costs all measuring slightly below the rest of the country. One would be hard pressed to find a prettier place to spend four years than Lewisburg, home to Bucknell University. 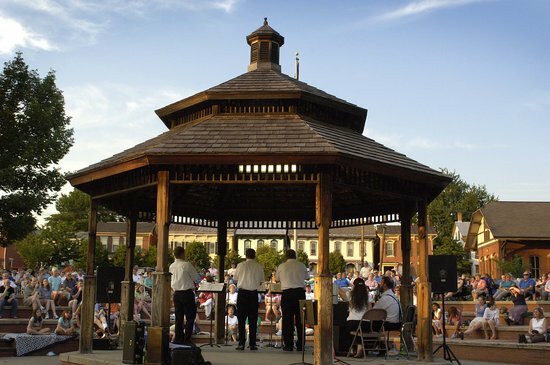 Situated between the Susquehanna River and the Allegheny Mountains, Lewisburg is a place where residents live well. The whole town is listed on the National Historic Register thanks to well-preserved places like the 1941 Art Deco movie theater, restaurants housed in old buildings, and an impressive collection of historic homes. And Bucknell is a very desirable private liberal arts university, so the college scene is an important part of this small town of 6,000 people. Though Lewisburg’s overall cost of living is only 4% higher than the national average, healthcare, transportation, and entertainment costs are ranked below the norm. Perhaps the best-known college town in Pennsylvania, the aptly named State College is home to prestigious Pennsylvania State University. Located in the region known as “Happy Valley,” both students and locals live well here. Though housing costs are nearly 50% higher than the national average, food, healthcare, utilities, transportation, and entertainment costs are all closer to the norm. State College has a stellar safety rating, so residents need not worry about taking advantage of the town’s many festivals and events, or the lively club and restaurant scene. Plus, a strong local economy has meant great job opportunities for students and graduates alike. Swarthmore, better known as “The Ville,” is another quiet small town with a laid-back vibe. 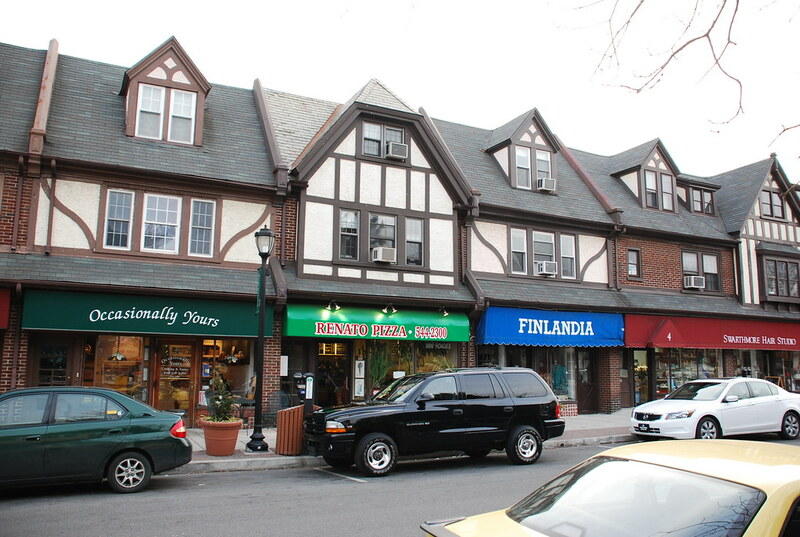 The majority of town is made up of upscale neighborhoods, though a small downtown provides students with the basics: a grocery store, pizza parlor, a few restaurants, and a Target. One of the most popular local pastimes is hiking and exploring Crum Woods, a woody nature reserve located right next to the Swarthmore College campus. The quaintness of Swarthmore is part of the reason its cost of living is almost 22% higher than the national average. Still, when students need bigger stores or a livelier scene, Philadelphia is a short drive away. West Chester, home to West Chester University, is 1.8 square miles of picture perfection. Nearly 90% of this small town is listed on the National Register of Historic Places, giving it a certain old world charm that one would be hard-pressed to find in any other college town. While much of West Chester’s population is made up of students, the town is also popular among young professionals, families, and retirees. Downtown (which comes complete with brick sidewalks), residents have more than 50 restaurants and eateries from which to choose. Shops and boutiques, art galleries, and entertainment venues are also plentiful. While West Chester’s cost of living is higher than most other places in Pennsylvania, those who are able happily pay nearly 40% more than the national average to live in this tight-knit community. Mansions, mansions, and more mansions. That’s what makes up most of the sights to see in Radnor. Home to Cabrini University and Eastern University, Radnor offers its residents — a large percentage of whom are students — an upscale and quiet existence in the suburbs of Philadelphia. The town boasts a stable economy, due in large part to the fact that companies like J.G. Wentworth, TV Guide, Airgas, and Lincoln Financial Group are all headquartered there. Though Radnor’s cost of living is 77% higher than the national average, the individual cost categories vary dramatically, housing being the highest at 26% above the national norm. And as nice as Radnor is, the town’s stop on the Main Line means students can get to the big city of Philadelphia in a breeze. Villanova, home to Villanova University, is another affluent Philadelphia suburb located on the Main Line. It’s a quaint town chock-full of charm. The busy downtown area is lined with shops and restaurants, some of which are more budget-friendly than others. When students are in need of a little big-city action, a train leaves the Villanova campus and reaches Philadelphia and other surrounding towns in a matter of minutes. While housing in Villanova is more expensive than any other town on this list, costs of food, healthcare, utilities, transportation, and miscellaneous are all on par with the national average.